A comprehensive, authoritative look at an emergent area in post-genomic science, Evolutionary genomics is an up-and-coming, complex field that attempts to explain the biocomplexity of the living world. 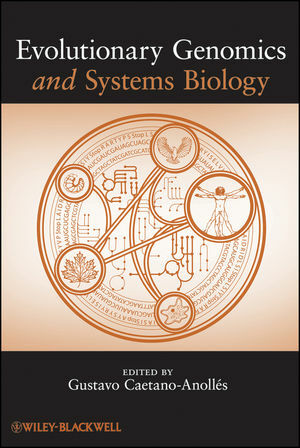 Evolutionary Genomics and Systems Biology is the first full-length book to blend established and emerging concepts in bioinformatics, evolution, genomics, and structural biology, with the integrative views of network and systems biology. Evolutionary Genomics and Systems Biology is an ideal book for students and professionals in genomics, bioinformatics, evolution, structural biology, complexity, origins of life, systematic biology, and organismal diversity, as well as those individuals interested in aspects of biological sciences as they interface with chemistry, physics, and computer science and engineering. Gustavo Caetano-Anollés, PhD, is Professor in the Department of Crop Sciences at the University of Illinois in Urbana-Champaign, Illinois. He has more than 150 well-cited original research publications in areas related to DNA technology and genomics, and holds half a dozen US patents in various areas of DNA science and biotechnology. His successful book, DNA Markers: Protocols, Applications, and Overviews, was published by Wiley in 1997. Part I Evolution of Life. Part II Evolution of Molecular Repertoires. Part III Evolution of Biological Networks.